Few days back, a French journalist stoked award-winning novelist, Chimamanda Adichie, with the ‘book store’ question, thus sparking off disparate opinions across the globe. The query was meant to poke and ridicule Adichie. And it did. But it did much more than that. The altercation sent the social media riling, as respondents reacted with acerbic posts about the motive of the questioner. The journalist’s real intent to embarrass the country and its 190 million people was obviously due to vestiges of racism, colonial mentality, and bigoted media negativism among others. Despite the furore over the inquisition, there are some introspections for the country and its crop of leaders. Fundamentally, the interview underscores the rot in the nation’s educational system. It also validates the widespread agitation and demand to revamp the sector through improved budgetary allocations and articulation of effective policies for technological advancements and societal progress. Doing this will change the narrative on whether Nigeria owns bookstores or not. Many Asian countries experienced inglorious histories of colonialism and political upheavals, as Nigeria, but they have become major players in science, technology, health and agriculture. Today, India is a lead destination for medical tourism and Information Technology, while Malaysia is a top exporter of oil, both palm and petroleum. Japan, Taiwan, China and South Korea are all industrial and manufacturing giants. These Asian countries achieved monumental feats, through strong leadership and huge investments in science education and technological research. This is in sharp contrast with Nigeria, where basic school enrolment and completion figures remain low, even as higher education is equally appalling on several fronts, including examination malpractice, sexual abuse, poor facilities, wage crises and frequent strikes. Budget allocation to education is paltry and far below global standards. 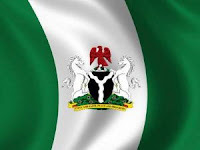 Only 7.04 percent of the N8.6 trillion, 2018 budget was assigned to education, which is lower than last year’s allocation of 7.4 percent, and a far cry from the 26 percentage of national budgets for education, stipulated by United Nations (UN). The funding gap in the sector is often ascribed to corruption, low oil price, war on Boko Haram, which means ‘No to western education’, phony projects, among other frivolous excuses. This malaise has cumulatively escalated unemployment, drug abuse, youth restiveness, crimes, terrorism, and insecurity across the country. Government’s lackadaisical attitude to education and youth development, is a reflection of systemic collapse and leadership failure that have collectively mortgaged the lives of citizens and the future of the next generation. This nation has for several decades been bedevilled by unimpressive sit-tight military dictators, as well as corrupt political leaders, who have consistently exhibited stark ignorance of true statesmanship and statecraft, thus leaving a beleaguered and pauperized citizenry floundering in spiralling poverty, illiteracy and depravity. Even the current political class is viewed mainly as a bunch of characters, bereft of altruistic qualities and technological skills to deliver the country from its myriad woes. Clearly, decades of sleaze in governance and public office, as well as nepotism, rather than merit, have contributed in no small measure to the country’s horrid position in global standing and developmental markers, as inelegantly displayed in the educational spectrum. Several research findings indicate widespread decadence in educational standards across the country, with the North East, North West and North Central as the worst hit. Available statistics from United Nations Children’s Fund (UNICEF) show that Nigeria still has 10.5 million out-of-school children – the world’s highest number. Sixty per cent of those children are in northern Nigeria. UNICEF Country Representative, Mr Mohammed Fall, has severally warned about the security and social impact of out-of-school children in Nigeria. Sadly, many of these promises are never redeemed, even as analysts also attribute the poor performance in the sector to socio-cultural predispositions for almajiri system, forced marriage, polygamy, poverty and religious extremism. Some religious and political leaders from these affected areas still clamour for such infantile and crooked marriages, which exacerbate population explosion, unemployment and infrastructural dilapidation. It is sheer criminality and breach of public ethos for those entrusted with leadership to renege on their responsibilities to invest massively in education and other viable sectors, but fritter away the common patrimony on hedonistic lifestyles and insatiable luxuries. Perhaps, this explains why the Federal Government’s proposal to declare a state of emergency in the education sector has been trailed with more knocks than nods. While some experts have hailed the idea, others dismissed it as a farce, due to alleged apathetic and jaundiced temperament of the administration. Moreso, are there effective mechanisms to ensure its success and sustainability, given the country’s political exigencies and vagaries as well as poor budgetary allocations to the sector, in dire need for holistic reforms? However, Minister of Education, Adamu Adamu, was hopeful over the plan, if embraced and supported by governors and stakeholders. “By the end of April, we are proposing there will be a declaration of state of emergency in the education sector all over the country. I will also meet with the governors to appeal to them to give special emphasis to address the problem of low standard of education, especially at primary level,” he said. Without doubt, the plan and its grandiose projections are achievable, if many players in the corridors of power will change their kleptomaniac tendencies and stop putting their hands in the public till.